If you've been waiting for a sportswear collection with a more than average flair, then this is the one for you. Kate Spade's athleisure line has the brand's signature feminine touch mixed with a whole lot of spandex. This range is perfect for the on-the-go fashionista who wants to have her workout and look adorable too. I expected nothing less from the label known for whimsical prints and pretty purses. The girly gym wear was created in collaboration with the athleisure line Beyond Yoga and will be limited edition, so you'll need to shop fast if you want these gorgeous pieces in your life. Although the 21-piece collection won't be available to buy until January, the three sneak-peek images currently available reveal lots of bows and an elegant, simple color palette — just what any Kate Spade fan would want from her workout wardrobe. With subtle detailing and a signature pop of color, there's no better way to brighten up a drab day at the gym than with these picks. The first piece incorporates the label's love of prints and special eye for detail. The black and white striped zip-up is made of spandex and has a cute bow around the neck. "This new athleisure collection is a thoughtful expansion of our lifestyle offerings, done in a way that is uniquely Kate Spade New York and true to our customer-centric brand promise," Mary Beech, executive vice president and chief marketing officer of Kate Spade & Co told Fashionista. It's nice to see the label's classic style extended to other lifestyle categories as well. The line will be priced between $80 to $178, making it pretty affordable compared to other designer wares. 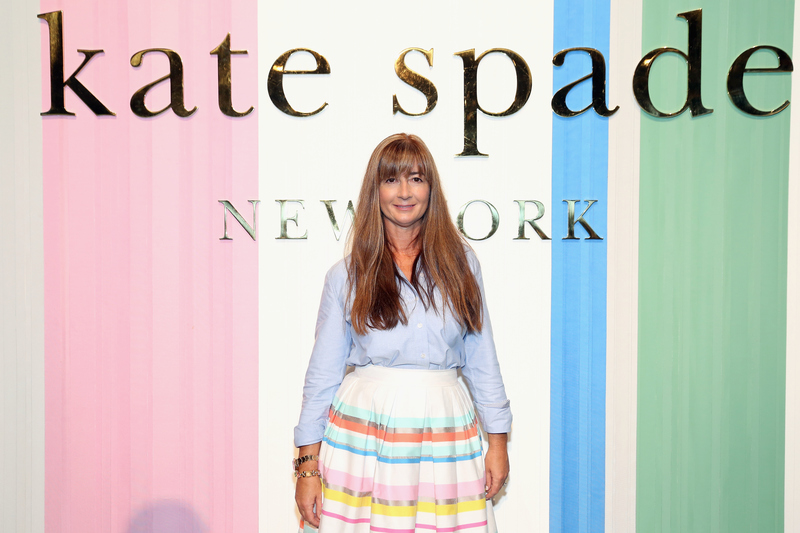 Kate Spade follows in the footsteps of Tory Burch, Rebecca Minkoff, and Mara Hoffman, who have also launched activewear lines this year. One thing's for sure — no one combines prints and colors quite like Kate Spade! I can't wait to see the rest of the collection. Want more awesome fashion? Check out the video below, and be sure to subscribe to Bustle’s YouTube page for more hacks and tricks!